Most anyone who knows me knows I believe in Santa. I take the whole idea pretty seriously, and in fact I’ve written a book about him. And you should believe in Santa too. It’s good for kids to know there was such a man, and for adults to want to be such a man. 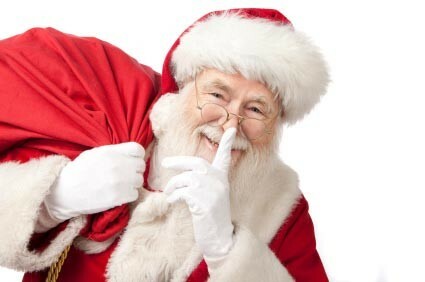 To the degree people think about an ancient pastor who went around doing good deeds in secret when they think of Santa, and to the degree they are encouraged to do likewise, as our Lord taught, all the better. In our culture, Santa has become synonymous with Christmas. But St. Nicholas day is actually December 6. That’s why it may be worth moving the focus away from Christmas day itself and celebrating Santa sooner. People are going to think about him and talk about him anyway. But we should do it earlier rather than later, clearing the way on Christmas to focus on the Christ child himself. Since St. Nicholas was imprisoned for his faith, and since he gave away his family’s considerable fortune to minister to others, mostly in secret, I think he would approve. Actually, I think he would prefer not to be noticed at all. But Psalm 112 tells us such a man’s reputation “will be lifted high in honor.” So we should give him his day on the 6th, so we can be more careful to worship his Lord on the 25th. Imagination and mystery are given short shrift in our lives, and they deserve more time and space. When you put the two together, one possible outcome is fantasy— a unique and viable way to think about things that really matter. Like, in this case, generosity and surprise. It’s only one way to think about them, of course. But it’s a delightful one. You really might enjoy the book then. It’s a short read. Thanks for commenting.